Breastmilk Storage 101 | The New Mummy Company Inc. Whether you’re returning to work, celebrating a special occasion away from your baby or wish to share the opportunity to feed your baby with other family members – milk storage is a great solution. There will be times when you are unable to nurse your baby at your breast so why not stock up on your liquid gold? Breast milk has extensive goodness and nutrition for all your baby’s needs and it is important to know how to preserve it properly. • Ensure you wash your hands before expressing your milk and/or handling your breastmilk. This prevents passing bacteria or pathogens from your hands to your equipment or your milk. 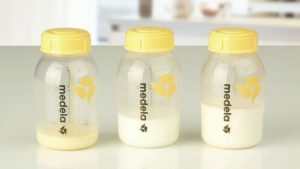 • Store breastmilk in containers designed for breast milk storage, that are BPA-free and intended for freezing. • Freeze your milk in smaller portion sizes as smaller quantities thaw more quickly and avoid less waste when feeding your milk to your baby. Breast milk expands when frozen, therefore be sure to allow space in the milk’s container for this. • Ensure you seal your milk containers fully. Anyone who says ‘No use crying over spilt milk’ clearly hasn’t spilt their own they worked hard to produce!! • Label your milk with the date you expressed it. This will help you judge which milk to use first and avoid your milk expiring before you get a chance to use it. • Pumped milk can be added to frozen breast milk provided it is chilled first. The pumped milk must be less in quantity than the frozen milk it is being added to. • Breast milk storage bags make your life easier as they are pre-sterilized, free from BPA and easy to pour and store. To save space in your freezer, freeze your milk flat in milk storage bags. 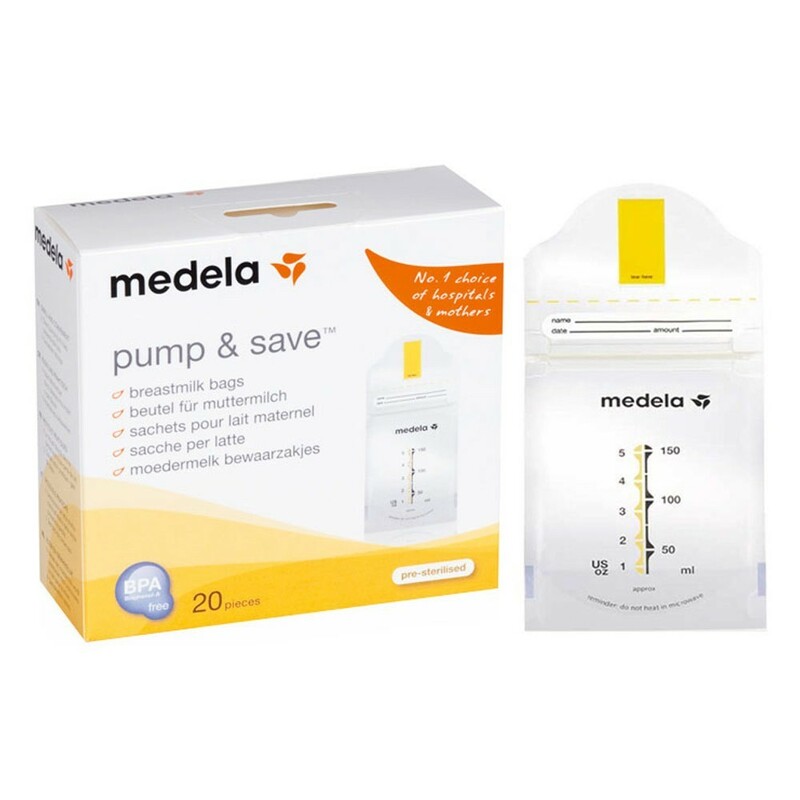 Transfer your milk from your pump bottle to a Medela Milk Storage Bag or pump straight into a Pump’n’Save Bag. Ensure the bag is sealed tight. Lay the bag flat on a baking or cookie sheet and place in your freezer. Once frozen remove from the baking sheet and store in the deepest part of your freezer. This way they will stack easier and save more space for you! Milk should always be stored in the inside of your refrigerator, where it is coldest. Your milk should not be stored in the door of your refrigerator. • Sterilize all equipment and containers that you use to prepare and store your breast milk. • Never microwave breast milk. Microwaving can cause hot spots in your milk which can burn or scald your baby’s mouth. • Thaw your milk overnight in your refrigerator or by holding a bottle of your milk under warm running water. You can place your milk in a sealed container and submerge it in a bowl of warm (not boiling) water for 20 minutes to warm it to your preferred temperature. 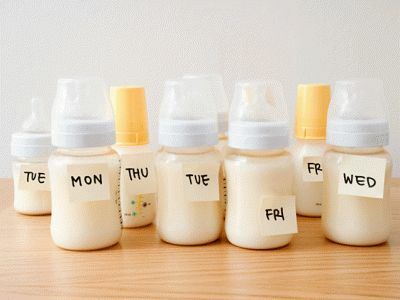 • Store thawed breastmilk in a refrigerator for a maximum of 24 hours after thawing. Your milk must be disposed after 24 hours if it is not used. Do not refreeze defrosted breastmilk. • Gently swirl warmed bottles to mix the milk, do not shake. Shaking your milk denatures the molecules and breaks down the proteins in your milk. When the proteins remain intact they help line your little one’s gut. • If you have any concerns regarding the freshness of your milk or are unsure of what date you pumped it do not use it. It is best not to feed any milk you are unsure about to your baby as you have put a lot of effort into producing your milk and do not want to make your baby sick. Your breast milk may separate into different layers when settled and stored. This is completely normal. The color of your milk may differ as your pumping journey progresses and your baby grows older. This is due to the fat content of your milk. Once your milk is stored properly, it will bring no harm to feed this milk to your baby. If your breast milk remains separated or chunks are floating in it after attempting to mix it, it has likely gone bad and it is best to discard it. Stored milk can sometimes have a soapy odor or appearance – this is due to the naturally occurring enzyme, lipase, which digests the fat in your breastmilk. This can be prevented by heating your milk to 180 degrees and cooling your milk before freezing. Please note that these guidelines and tips are specifically for babies born at term. Always check with a healthcare professional when storing milk for your premature or ill baby as these babies may have additional needs or requirements.